This post was originally published on the Family Talk Blog on August 1, 2018. It was republished with permission on DaVita Stories. They haven’t been spending much time with each other. Mary’s busy with the kids and Joe works long hours. Over time, they stopped going out as a couple. At the end of each day, they both drop into bed exhausted. Joe doesn’t understand why Mary feels so lonely— “I love her and think about her all the time,” he says. Sound familiar? Both Mary and Joe feel neglected. They love each other but feel that the other person doesn’t really understand what they need. It’s not hard to feel neglected when both parents don’t have much gas in their tanks. Each partner feels needy, but each partner doesn’t have much to give. The net effect—no one is giving and therefore no one is receiving. Marriage is a choice that we make every day. Tomorrow, Diane could wake up and decide she doesn’t want to be married to me! Your children will always be your children, even if you have a fractured relationship with them. But not so with your partner. All the more reason to make sure that the home fires are always burning—even when there is little fuel to be had. 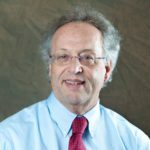 Dr. Paul Schoenfeld is a clinical psychologist with The Everett Clinic, a DaVita Medical Group, and the Director of The Everett Clinic’s Center for Behavioral Health. He specializes in working with children, families and adults. In his spare time, he’s a second degree black belt in Aikido (a peaceful martial art) and teaches aikido to children in Seattle. In addition (like many Pacific Northwesterners) he likes to hike, bike, and play in the sun (and rain).